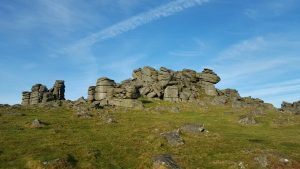 As we’ve said on several occasions, Hound Tor is one of the locations on Dartmoor that’s well worth a visit for many reasons. 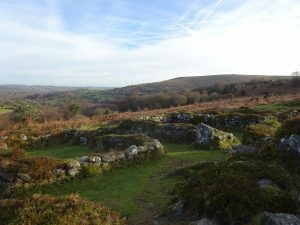 Legends abound about the rocks themselves but there’s more to the area than just the Conan Doyle link. 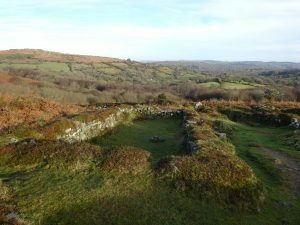 A short stroll over the top of the tor and down the east side will take you to the remains of the medieval village. 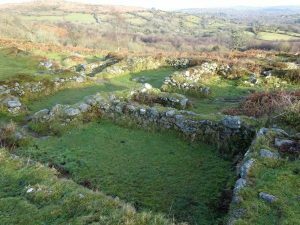 It was thought to have been abandoned during the fourteenth century as a result of the plague although some suggest that it was abandoned earlier as a result of famine. Either way, it’s a fantastic place that is now looked after by English Heritage. It’s always been a favourite spot for the Blonde One family. Little Miss Blonde and I have been visiting since she was quite little and fondly remember making up stories about who lived there. We used to enjoy stopping by at Aunty Mabel’s house for a cup of tea!